Admiral Richardson released an updated version of his Strategy document. This link will deliver you to the December 2018 version of "A Design for Maintaining Maritime Superiority." This link will connect you to Admiral Jeffrey A. Harley's Forum as it appeared in the Spring 2019 edition of the "Naval War College Review." 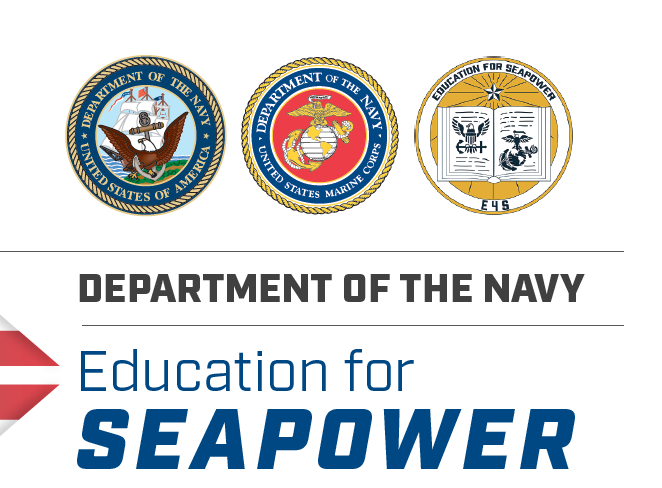 Attached is the "Education for Seapower" Report released by the Department of the Navy on February 12, 2019. Dr. Rebecca Lissner, who served as a panelist on "The Future of Arms Control" on April 3, 2019 at the Center for International Studies, is featured in this Podcast. This link will transport you to "Fresh Voices on Grand Strategy." Dr. Lissner's "What Is Grand Strategy? : Sweeping a Conceptual Minefield" is also available in the Reading Room of the Naval War College. Dr. James R. Holmes of the Strategy and Policy Department at the U.S. Naval War College posted this article in the U.S. Naval Institute BLOG. This link will transport you to "You Get the Peace You Enforce." Dr. Holmes's forthcoming publication--"A Brief Guide to Maritime Strategy"--will be published in November 2019. The Henry Eccles Library of the Naval War College contains several of Dr. Holmes's publications in its Collection. Dr. Nikolas K. Gvosdev, who is Professor in the National Security Affairs Department at the Naval War College, published this article in "The National Interest." This link will deliver you to "Don't Believe the Doomsayers : NATO Has a Future." Dr. Gvosdev's book "Decision-Making in American Foreign Policy : Translating Theory into Practice" (2019) (which he coauthored with Dr. Jessica Blankshain and Dr. David Cooper of the Naval War College), is currently available in the Henry E. Eccles Library. Dr. Lyle J. Goldstein, of the China Maritime Studies Group at the U.S. Naval War College, published this article in "The National Interest." This link will connect you to "Why Does China Suddenly Want Nuclear Icebreakers?" Dr. Goldstein also remains an Affiliate in the Russia Maritime Studies Institute at the Naval War College. His publication, "Meeting China Halfway : How to Defuse the Emerging U.S--China Rivalry," is in the Library of the Naval War College. Dr. Andrew Erickson, who helped to establish the China Maritime Studies Institute in 2006, published this article in "Indo--Pacific Defense Forum." This link will deliver you to the Learning Commons of the Naval War College where you may read Dr. Erickson's "Maritime Numbers Game : Understanding and Responding to China's Three Sea Forces." Dr. Erickson's "China's Maritime Gray Operations" was published on March 15, 2019. His book-"China's Nuclear Submarine Force" is also in the Henry Eccles Library of the Naval War College. Dr. John Hursh, Editor-in-Chief of International Law Studies at the Naval War College, published this article in the April 2019 issue of "Just Security." This link will connect you to "Ouster of Sudan's Bashir Is Only the Beginning." Dr. Hursh's "'Just Fall, That Is All!' Sudan on the Brink of Change? " is also located in the Naval War College's Reading Room. Dr. Hayat Alvi, who served as moderator during the Inaugural Cases of Slow Genocide in the 21st Century Conference on December 19, 2018 at the Naval War College, published this article in "Inside Turkey." This link will connect you to "Terrorism in Africa : The Rise of Islamist Extremism and Jihadism." Dr. Alvi's "Regional Integration in the Middle East : An Analysis of Inter--Arab Cooperation" resides in the Learning Commons of the Naval War College. This article by Dr. Burak Kadercan of the Naval War College may be retrieved by accessing either the associate link or image. Professor David Kelly, Jr., who teaches an American Civil War elective course at the Naval War College, published this article in the Fall 2018 issue of "Civil War Navy." This link will deliver you to "Sultana : Victim of Courtenay's Coal Torpedo?" Dr. Kerry Fosher, who will deliver the Lecture of Opportunity at the United States Naval War College on April 23, 2019, published this article in the "Journal of Business Anthropology." This link will transport you to the Learning Commons of the Naval War College and "Implementing a Social Science Capability in a Marine Corps Organization." Dr. Kosher's talk is"Neurodazzle and Other Boondoggles : Thoughts on the Consumption of Science in Military Organizations." 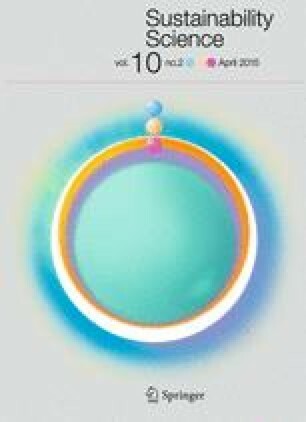 Dr. Nuno Monteiro, who will deliver the Lecture of Opportunity on April 25th at the Naval War College, published this article on Nuclear Proliferation in 2014. This link will connect you to the Learning Commons of the Naval War College and the full text of "The Strategic Logic of Nuclear Proliferation." Dr. Monteiro and Dr. Debs's work "Nuclear Politics : The Strategic Causes of Proliferation" (2016) is also in the Learning Commons of the Naval War College. Dr. Harlan Ullman, who will deliver the Lecture of Opportunity at the United States Naval War College on April 26, 2019, posted this Letter to the Editor in the 2019 edition of "Survival : Global Politics and Strategy." This link will connect you to the Learning Commons of the Naval War College and "America's Military Failures." The Henry Eccles Library also contains Dr. Ullman's recent book "Anatomy of a Failure : Why America Loses Every War It Starts" (2017) in its Collection. This article by Dr. Austin Becker, who will deliver the Lecture of Opportunity at the Naval War College on April 29, 2019 at the Naval Ware College, may be accessed by following the associated link or image to the Learning Commons. The subject of Dr. Becker's lecture is Stimulating Transformational Thinking for Maritime Systems Climate Risk Adaptation. 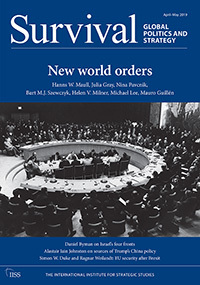 This article by Dr. Samuel Helfont of the Naval War College appeared in the March 22, 2019 edition of "Orbis." This link will transport you to "Requiem for Mosul." The Learning Commons of the Naval War College contains "Orbis" in its Collection. Dr. Helfont's work "Compulsion in Religion : Saddam Hussein, Islam, and the Roots of Insurgencies in Iraq"(2018) is in the Library as well. Dr. Lyle Jared Goldstein, who is also an Affiliate in the Russia Maritime Studies Institute at the U.S. Naval War College, published this article in "The National Interest." This link will connect you to "Russia's Dangerous Undersea Games." Dr. Goldstein's article : "Does Russia See a War Threat in Warsaw" is also in the Reading Room of the Naval War College. The Library has a copy of Dr. Goldstein's "Preventive Attack and Weapons of Mass Destruction : A Comparative Historical Analysis" (2006) in its Collection. Dr. James Holmes, who occupies the Inaugural J.C. Wylie Chair of Maritime Strategy at the Naval War College, published this article in "The Hill." This link will transport you to "Don't Let Russia Create a 'Caribbean' in the Arctic." Dr. Holmes also delivered the Issues in National Security Lecture at the War College on February 5, 2019. The subject of his talk was U.S. Naval Power in the Pacific. His book, "Red Star Over the Pacific : China's Rise and the Challenge to U.S. Maritime Strategy" (which he coauthored with Dr. Toshi Yoshihara), is in the Learning Commons of the Naval War College. Dr. David A. Cooper, who delivered the Issues in National Security Lecture--A New Nuclear Arms Race--on March 5, 2019, published this article in "The National Interest." This link will connect you to "Could a U.S.--Russia Missile Ban Avoid a Nuclear Arms Race in Europe?" Dr. Cooper's "Decision--Making in American Foreign Policy," which he coauthored with Dr. Blankshain and Dr. Gvosdev of the Naval War College, is in the Learning Commons. Dr. Peter Dombrowski, along with Thierry Balzacq and Simon Reich, coauthored this review essay which appeared in the current issue of "Strategic Studies" This link will deliver you to the Learning Commons of the Naval War College where you may read "Is Grand Strategy a Research Program? A Review Essay." Dr. Dombrowski is the Director of the Cyber and Innovation Policy Institute at the Naval War College. His book, "The Indian Ocean and U.S. Grand Strategy : Ensuring Access and Promoting Security"(2014) is also in the Learning Commons of the Naval War College. Dr. Rebecca Lissner of the Naval War College served as a panelist during this event at the Center for Strategic and International Studies. This link will connect you to The Future of Arms Control." Dr. Lissner's "What Is Grand Strategy? : Sweeping a Conceptual Minefield" is also located in the Reading Room of the Naval War College. Dr. Sam Tangredi, who is Professor in the Strategic and Operational Research Department at the Naval War College, published this article in the Naval War College Review. This link will deliver you to "Running Silent and Algorithmic : The U.S. Navy Strategic Vision in 2019." Dr. Tangredi's Antiaccess Warfare as Strategy : From Campaign Analyses To Assessment of Extrinsic Events" is also in the Naval War College Reading Room. Captain Wayne Hughes, whose publication "Fleet Tactics and Naval Operation" (2018) is located in the Learning Commons of the Naval War College, posted this article in the April 2019 edition of "Proceedings." This link will connect you to the Learning Commons of the United States Naval War College where you may read Professor Hughes's "Restore a Distributable Naval Air Force." Professor Jim Cook, who is Professor of National Security Affairs at the Naval War College, published this article in "War on the Rocks." This link will connect you to "How We Do Strategy as Performance Up in Newport." Professor Cook also authored "What Do America's Allies Think of 'America First?'" which appeared in "The National Interest" on June 11, 2017. "The Habits of Strategy," written by Dr. James Holmes who holds the J.C. Wylie Chair in Maritime Strategy at the Naval War College, appeared in the February 2019 issue of "Proceedings." This link will transport you to the Learning Commons of the United States Naval War College where you may read "The Habits of Strategy." Dr. Holmes will deliver the Issues in National Security Lecture--U.S. Naval Power in the Pacific--on February 5, 2019 at the Naval War College. "What Is Grand Strategy? : Sweeping a Conceptual Minefield" by Dr. Rebecca Lissner of the Naval War College may be retrieved by accessing either the attendant link or image. Dr. Thomas J. Gibbons published this article on Admiral James Stockdale in the April 2019 edition of "Proceedings." This link will deliver you to the Learning Commons of the Naval War College where you may read "The Stockdale Paradox." Dr. Gibbons also teaches the elective "The Foundations of Moral Obligation" at the Naval War College. "Ethics and the Twenty-First Century Military Professional" may be retrieved by accessing either the associated link or image. Dr. Demy's "Military Ethics and Emerging Technologies"(2014) is situated in the Learning Commons of the Naval War College. Dr. James Holmes of the Naval War College published this article in "The National Interest" which may be accessed by following either the attendant link or image. Dr. Holmes's next publication will be "A Brief Guide to Maritime Strategy." Dr. James Holmes, who (along with Dr. Toshi Yoshihara) authored "Red Star Over the Pacific : China's Rise and the Challenge to U.S. Maritime Strategy" (2018), published this article on Taiwan in "The National Interest." This link will deliver you to "Explained : Why Taiwan Needs New Submarines to Deter China." Dr. Holmes's article "Pay Attention : These Are the Submarines the U.S. Navy Needs" is also in the Reading Room of the Naval War College. Dr. Andrew Erickson and Dr. Lyle J. Goldstein of the China Maritime Studies Institute at the Naval War College were interviewed on this program. This link will deliver you to "Analysis : Will China and America Go to War?" This article by Dr. Jmaes Holmes of the Naval War College appeared in the April 4, 2019 issue of "The National Interest" and may be retrieved by accessing either the associated link or images. The Learning Commons of the Naval War College has the second edition of Dr. Holmes's "Red Star Over the Pacific : China's Rise and the Challenge to U.S. Maritime Strategy" in its Holdings. His forthcoming book is "A Brief Guide to Maritime Strategy." Professor John Jackson, who also serves as Program Manager for the Chief of Naval Operation's Professional Reading Program, published his current Reflection in the Spring issue of the Naval War College Review. This link will connect you to "Reflections on Reading." Professor Jackson delivered the Issues in National Security Lecture at the Naval War College on April 2, 2019. His lecture was on Robots and Unmanned Systems in War. Professor Jackson's "One Nation Under Drones : Legality, Morality, and Utility of Unmanned Combat Systems"(2018) resides in the Learning Commons of the Naval War College. Dr. Lyle Jared Goldstein, who also is an Affiliate within the Russia Maritime Studies Institute at the Naval War College, published this insight into China on April 1, 2019. This link will deliver you to "Why Is China's Navy Studying the Battle of Guadalcanal?" The Learning Commons of the Naval War College has Dr. Goldstein's "Meeting China Halfway : How to Defuse the Emerging U.S.--China Rivalry"(2015) in its Collection. This link will convey you to "China Studying the Naval Battle of Guadalcanal? Smart." Dr. Andrew Erickson, Professor of Strategy in the China Maritime Studies Institute at the United States Naval War College, coauthored this commentary on the Gray Zone. This link will deliver you to the Naval War College Review where you may read the full text of "Surging Second Sea Force : China's Maritime Law Enforcement Forces, Capabilities, and Future in the Gray Zone and Beyond." Dr. Erickson and Dr Ryan D. Martinson (also of the Naval War College's China Maritime Studies Institute) published "China's Maritime Gray Zone Operations" on March 15, 2019. Captain Jamie McGrath, who serves as Military Professor in the Joint Military Operations (JMO) Department at the United States Naval War College, published this article in the Spring 2019 Naval War College Review. This link will deliver you to Captain McGrath's "Peacetime Naval Rearmament, 1933-39 : Lessons for Today." Professor McGrath holds an MA in National Security and Strategic Studies from the Naval War College. Dr. Lyle J. Goldstein, who is Research Professor in the Strategic and Operational Research Department at the Naval War College, published this commentary in "The National Interest." This link will convey you to "China vs. Taiwan : A Return to 'Massive Retaliation' in the Taiwan Strait?" Dr. Goldstein's "Not Congruent But Quite Complementary : U.S. and Chinese Approaches to Nontraditional Security"(2012) is in the Learning Commons of the Naval War College. Dr. James Holmes of the Naval War College posted this article in "The National Interest." This link will deliver you to "A U.S.--China Scenario : How Would China's Military Attack a 'Great Wall in Reverse?'" The U.S. Naval War College contains several of Dr. Holmes's publications in its Collection. His forthcoming book is "A Brief Guide to Maritime Strategy" will be published in November 2019. Dr. Paul J. Smith, who is a Professor in the National Security Affairs Department at the Naval War College, and Tara Kartha published this article in "Comparative Strategy." This link will connect you to the Learning Commons of the Naval War College where you may read "Strategic Partners or an Emerging Alliance? India and the United States in an Era of Global Power Transition." Dr. Smith's "The Terrorism Ahead : Confronting Transnational Violence in the Twenty--First Century" is also in the War College's Library Collection. Dr. Chris C. Demchak, who is a Professor in the Strategic and Operational Research Department at the Naval War College, published this commentary in "Defense One." This link will deliver you to "We Need a NATO/EU for Cyber Defense." The Learning Commons of the Naval War College contains Dr. Demchak's book, "Wars of Disruption and Resilience : Cybered Conflict, Power, and National Security," in its Collection. Dr. Nikolas K. Gvosdev, Professor of National Security Affairs at the Naval War College, published this article in "The National Interest." This link will connect you to "An Insider's Guide to Russia's Political Interference Preferences." Dr. Gvosdev's March 9th article, "The Contenders for the Ukrainian Presidency," is also in the Reading Room. Dr. Lyle J. Goldstein, who is Research Professor in the Naval War College's Strategic and Operational Research Department, published this article in "The National Interest." This link will deliver you to "China's World War I Plan to 'Sink' the U.S. Navy." Dr. Goldstein is also an Affiliate in the Naval War College's Russia Maritime Studies Institute. His book, "Meeting China Halfway : How to Defuse the Emerging U.S.--China Rivalry" is located in the Learning Commons. Captain Junge, who is a Military Professor in the College of Leadership and Ethics at the Naval War College, posted this article in "Real Clear Defense." This link will deliver you to "Accountability in the U.S. Navy : 'So That Others May Learn.'" Professor Junge's book, "Crimes of Command in the United States Navy, 1945--2015," is in the Learning Commons of the Naval War College. "Retiring the Truman Early Is a Necessary Strategic Decision" by Captain Robert C. Rubel, may be retrieved by accessing either the associated link or image. Captain Rubel is a former Dean of the Center for Naval Warfare Studies at the United States Naval War College. Dr. Andrew Krepinevich, who delivered a Keynote Address on Strategy during the 2016 Current Strategy Forum hosted by the Naval War College, published this article on Deterrence for the Hudson Institute. This link will connect you to "The Decline of Deterrence." Dr. Krepinevich's book, "The Last Warrior : Andrew Marshall and the Shaping of Modern American Defense Strategy," resides within the Learning Commons of the United States naval War College. Dr. Lyle J. Goldstein, who is the Founding Director of the China Maritime Studies Institute at the Naval War College, published this article in "The National Interest." This link will deliver you to "A Forgotten Battle : Fifty Years Ago , Russia and China Slugged it Out on Damansky Island." Dr. Goldstein is also an Affiliate in the Russia Maritime Studies Institute at the Naval War College. Dr. James Holmes, who coauthored "Red Star Over the Pacific : China's Rise and the Challenge to U.S. Maritime Strategy,Second Edition"(2018, published this argument in "The National Interest." This link will connect you to "Pay Attention : These Are the Submarines the U.S. Navy Needs." Dr. Holmes delivered the Issues in National Security Lecture--U.S. Naval Power in the Pacific--on February 5, 2019 at the Naval War College. Professor Keith Patton, who is Deputy Chairman of the Strategic and Operational Research Department at the United States Naval War College, published this article in the Center for International Maritime Security. This link will connect you to Part one of his critique. Commander Keith E. Patton, who is Military Professor in the Strategic and Operational Researcg Department at the Naval War College, published this article in CIMSEC. This link will connect you to the second part of "Breaking the Mold : How to Build a 355--Ship Navy Today." Dr. Nina Kollars and Dr. Doyle Hodges, who are Associate Professors at the Naval War College, published this commentary in the March 13, 2019 issue of "War on the Rocks." This link will transport you to "Building Modern Screw Loops? Strategic Choices About Artificial Intelligence in Defense." Dr. Kollars's "Ready to Compete? America's Military and Technological Edge" and Dr. Hodges's "(Moral) Hazards to Navigation at Sea" are also located in the Naval War College Reading Room. Dr. Schultz presented the lecture "Future Warfighting" on Thursday, November 1, 2018 at the "Everything You Always Wanted to Know About the Naval War College....But Were Afraid to Ask" Event. This link will connect you to the Defense and Aerospace Report and Dr. Tim Schultz's thoughts on the Ethics of Military Technology and the Naval War College's Graduate Certificate in the Ethics and Emerging Technology Program. The Learning Commons of the Naval War College includes Dr. Schultz's book " The Problem With Pilots : How Physicians, Engineers and Airpower Enthusiasts Redefined Flight" is in its Collection. This article, published by Dr. Jessica Blankshain of the Naval War College, appeared in the March 8, 2019 edition of "Military.com" and may be accessed by following either the associated link or image. Dr. Blankshain, along with Dr. Lindsay Cohn of the Naval War College, delivered the Civil-Military Relations Lecture on February 19, 2019. Dr. Sam J. Tangredi, who was recently appointed as the Inaugural Leidos Chair of Future Warfare Studies at the Naval War College, published this article in the "Naval War College Review." This link will connect you to the Learning Commons where you may read the full text of "ANTIACCESS WARFARE AS STRATEGY : From Campaign Analyses to Assessment of Extrinsic Events." Dr. Tangredi's "The U.S. Naval Institute on Naval Cooperation" (2015) is located in the Learning Commons of the Naval War College. Dr. Lyle J. Goldstein, who is Research Professor in the Strategic and Operational Research Department at the Naval War College, published this article in "The National Interest." This link will connect you to "Millions Would Die : Check Out China's Nuclear War Plan Against America." Dr. Goldstein's "China's Nuclear Force Modernization" is located in the Learning Commons of the Naval War College. Dr. Tom Nichols, Professor of National Security Affairs at the Naval War College, published this commentary in "The Hill." This link will deliver you to "Theatrics or Threat : Putin Leans on Nuclear Hysteria to Mask Insecurity." Dr. Nichols's "No Use : Nuclear Weapons and U.S. National Security"(2014) is located in the Learning Commons of the Naval War College. Dr. Lyle J. Goldstein, who is Research Professor within the Strategic and Operational Research Department at the Naval War College, published this article in "The National Interest." This link will connect you "China's Logistics Modernization is Changing the Pacific Military Balance." The Learning Commons of the Naval War College contains "The National Interest" in its Collection. Dr. Goldstein is also an Affiliate in the Russia Maritime Studies Institute at the Naval War College. This article by Dr. James Holmes, the J.C. Wylie Chair of Maritime Strategy at the Naval War College, may be retrieved by accessing either the link or image. "Dr. Andrew S. Erickson and Professor Ryan D. Martinson Discuss "China's Maritime Gray Zone Operations"
This link will deliver you to the Dmitry Filipoff's Interview with Dr. Andrew Erickson and Professor Ryan Martinson of the Strategic and Operational Research Department at the Naval War College. Their book, 'China's Maritime Gray Zone Operations,' will be published on March 15, 2019. Professor Martinson's "China's Far Sea Naval Operations, From the Year of the Snake to the Year of the Pig" is located in the Naval War College's Reading Room. Dr. Erickson's "Diego Garcia : Anchoring America's Future Presence in the Indo--Pacific" is in there as well. "The U.S. Marine Corps Wants Anti--Ship Weapons for "Island Warfare." Here's Why That's a Big Deal" by Dr. James Holmes. Professor of Strategy and Policy at the United States Naval War College"
Dr. James Holmes, who occupies the J.C.Wylie Chair in Maritime Strategy at the U.S. Naval War College, published this article in "The National Interest." This link will connect you to "The National Interest" where you may read "The U.S.Marine Corps Wants Anti--Ship Weapons for 'Island--Warfare.' Here's Why That's a Big Deal." The Learning Commons has the second edition of Dr. Holmes's 'Red Star Over the Pacific : China's Rise and the Challenge to U.S. Maritime Security'in its Collection. Dr. Nikolas K. Gvosdev, the Captain Jerome E. Levy Chair of Economic Geography and National Security, posted this article in "The National Interest." This link will connect you to "The Contenders for the Ukrainian Presidency." Dr. Gvosdev's "Selective Engagement : A Bipartisan U.S. Foreign Policy Approach? is also located in the Reading Room of the U.S. Naval War College. Dr. Goldstein, who remains the Founding Director of the China Maritime Studies Institute at the Naval War College, published this article in "The National Interest." This link will transport you to "Does Russia See a War Threat in Warsaw?" Dr. Goldstein's "The Real Problem with China's Fisherman" is also in the Reading Room of the Naval War College. This interview with Professor John Jackson of the Naval War College may be accessed by following the link or image. Professor Jackson's "One Nation Under Drones : Legality Morality, and Utility of Unmanned Combat Systems"(2018) is in the Learning Commons. Professor Jackson's "The U.S. Naval Institute on Naval Innovation"(2015) also resides there. Professor Jackson will also deliver the Issues in National Security Lecture--Robots and Unmanned Systems in War--at the Naval War College on Tuesday, April 2, 2019. This publication by Dr. Benjamin R. Young of the Naval War College may be retrieved by accessing either the attendant link or image. Dr. Young is a Fellow in the Strategy and Policy Department of the Naval war College. This article by Dr. James Holmes of the Naval War College appeared in "The National Interest" and may be retrieved by accessing the attendant link or image. This link will transport you to Dr. Roehrig's evaluation of the recent U.S--North Korea Summit. Dr. Roehrig is a Professor of National Security Affairs at the Naval War College. D. James Holmes, who is Professor of Strategy and Policy at the Naval War College, published this precept to the Naval War College Graduates in the U.S. Naval Institute Blog. This link will transport you to "Be Devil's Advocates, War College Graduates." Dr. Holmes delivered the Issues in National Security Lecture--U.S.Naval Power in the Pacific--on February 5, 2019. Dr. Tom Nichols, who is Professor in the National Security Affairs Department at the Naval War College, published this article in "Foreign Affairs." This link will connect you to "Mourning the INF Treaty." The Naval War College has "Foreign Affairs" in its Collection. Dr. Nichols's "Trump Escalates His Assault on Civil--Military Operations " is also in The Naval War College Reading Room. This article by Professor Frank O' Donnell of the United States Naval War College and Debalina Ghoshal appeared in East Asia Forum. This link will convey you to "Commitment Traps Make Kashmir De--escalation Tricky." Professor O'Donnell is a post doctoral fellow in the National Security Affairs Department at the Naval War College. Dr. John Hursh, who is Editor--in--Chief of International Law Studies at the Naval War College, published this commentary on Sudan in "Just Security." This link will connect you to "'Just Fall, That is All!' Is Sudan on the Brink of Change?" Dr. Montgomery McFate, who is Professor in the Strategic and Operational Research Department at the United States Naval War College, published this article in the October 2018 issue of "Orbis" This link will convey you to "A Military Anthropologist Looks at Islamic Insurgency in Aceh." Dr. Fate's book, "Military Anthropology : Soldiers, Scholars and Subjects at the Margin of Empire" (2017), is located in the Collection of the Naval War College's Learning Commons. This commentary by Dr. Walter Berbrick, who is a founding director of the Arctic Studies Group at the Naval War College, may be accessed by following either the accompanying link or image. Professor Michael Junge, who is Military Professor in the College of Leadership and Ethics at the United States Naval War College, published this article in "The Bridge." This link will connect you to "A Tradition Older." Professor Ryan D. Martinson, who is a Core Member of the China Studies Maritime at the Naval War College, published this commentary in the Center for International Maritime Security. 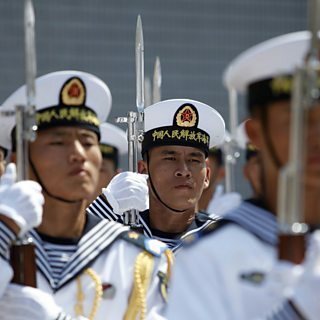 This link will connect you to ""China's Far Seas Naval Operations, From the Year of the Snake to the Year of the Pig." Professor Martinson's "China's Distant--Ocean Survey Activities : Implications for U.S. National Security" (which he authored with Dr. Peter Dutton of the Naval War College), is also in The Reading Room. Dr James Holmes,who is Professor in the Strategy and Policy Department at the Naval War College, published this commentary in "The Hill." This link will transport you to "The Hill" where you may read Dr. Holmes's "Russia's Latest 'Wonder Weapon' is More Propaganda than Power." Dr. Doyle Hodges, United States Navy (Retired) of the Naval War College, published this article on the ethical perils of navigation in "War on the Rocks." This link will connect you to "(Moral) Standards to Navigation at Sea." Professor William G. Glenney, of the Strategic and Operational Research Department at the Naval War College, published this article in the Center for International and Maritime Security on February 11, 2019. This link will deliver you to "The Deep Ocean : Seabed Warfare and the Defense of Undersea Infrastructure, Part 2." Captain William G. Glenney, IV, United States Navy (Retired), who is Professor in the Strategic and Operational Research Department at the Naval War College, published this article in the Center for International maritime Security. This link will transport you to "The Deep Ocean : Seabed Warfare and the Defense of Undersea Infrastructure, Part I." Dr. Joan--Johnson Freese and Dr. David T. Burbach of the United States Naval War College published this commentary on the Missile Defense Review. This link will transport you to "The Best Defense Ever? Busting Myths About the Trump Administration's Missile Defense Review." Dr. Joan Johnson--Freese also holds the Charles F. Bolden, Jr. Chair of Science, Space and Technology at the Naval War College. "Space Warfare in the 21st Century : Arming the Heavens" (2016 by Dr. Johnson--Freese is in the Learning Commons of the United States Naval War College. Her article "So What Happened to the Space Frontier Act" is also in the Naval War College Reading Room. This link will connect you to "Strategic Asia 2019 : China's Expanding Strategic Ambitions" where you may read Dr. Erickson's critique. Dr. Erickson's "China, the United States and 21st Century Sea Power : Defining a Maritime Security Partnership" is located in the Learning Commons of the Naval War College along with several other publications. John F. Griffin, who is Associate Professor in the College of Maritime Operational Warfare at the Naval War College, published this article in "Cyber Dominance" on January 28, 2018. This link will deliver you to "Information Warfare Is Fleet Business : It Is No Longer What Goes on Behind the Green Door." Professor Andrea H. Cameron, who is Director of the Climate and Human Security Studies Group at the Naval War College, published this article in the Winter 2018 edition of "Liaison." This link will deliver you to "Liaison" where you may read Commander Cameron's "Introducing the 'PRACTICES' : Recommended Practices for Humanitarian Civil--Military Coordination for Military Assets (FMA) in Natural and Man--Made Disasters." This article by Dr. Anand Toprani of the Naval War College appeared in the January 17, 2019 issue of "War on the Rocks." This link will connect you to "A Primer on the Geopolitics of Oil." Dr. Toprani's book, "Oil and the Great Powers : Britain and Germany, 1914--1945," will be published by Oxford University Press later this year. Dr. Milan Vego, Professor in the Joint Military Operations Department at the Naval War College, published this article in the Winter 2019 issue of the "Naval War College Review." This link will transport you to "Naval History : Operation RHINE EXERCISE, May 18-27, 1941." The Learning Commons of the Naval War College contains several of Dr. Vego's publications, including "Military Strategy and Sea Control : Theory and Practice" (2016), in its Collection. Dr. Michael Petersen, who is Associate Professor in the Strategic and Operational Research Department at the Naval War College, published this commentary in "War on the Rocks." This link will convey you to "The Naval Power Shift in the Black Sea." Dr, David G. Smith, Associate Professor in the National Security Affairs Department at the Naval War College, published this article in the "Armed Forces and Society" Journal. This link will connect you to "Women's Participation in the Jordanian Military and Police : An Exploration of Perceptions and Aspirations." Dr. Smith's "Gender and the Military Profession : Early Career Influences, Attitudes, and Intentions" (2016) is in the Learning Commons of the Naval War College. Dr. Milan Vego, University Professor at the United States Naval War College, and his work "Joint Military Operations : Theory and Practice" is cited in Commander Melbourne's compendium. 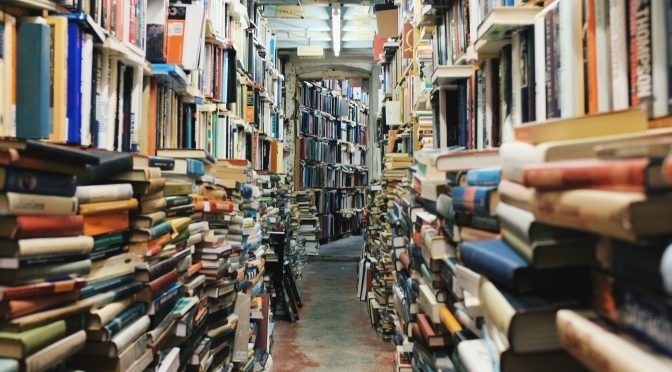 This link will deliver you to "Into the Unknown : A Reading List for the Knowledge Warrior." Attached is Dr. Tim Demy's critical analysis of Avigdor Hameiri's "Hell on Earth." The Learning Commons of the Naval War College includes Dr. Demy's work "Military Ethics and Emerging Technologies"(2014) in its Holdings. Dr. Thomas Gibbons, who teaches the elective class "Foundations of Moral Obligation" at the Naval War College, published this book review in the Spring 2019 edition of the Naval War College Review. This link will connect you to his analysis of John Alfred Coulter II's work. Attached is Dr. John B. Hattendorf's critical appraisal of G.H. Bennett's "The Royal Navy in the Age of Austerity, 1919-22 : Naval and Foreign Policy Under Lloyd George." The Learning Commons contains Dr. Hattendorf's "Talking About Naval History : A Collection of Essays"(2011) in its Holdings. Attached is Dr. Doyle Hodges's critical analysis of "Realistic Ethics : Just War Traditions as Power Politics." His article "(Moral) Hazards to Navigation at Sea" is also located in the Reading Room of the Naval War College. Attached is Dr. Richard Norton's critical analysis of Michael L. Gross and Tamar Meisels's "Soft War : The Ethics of Unarmed Conflict." Dr. Norton will deliver the Issues in National Security Lecture--Feral Cities--on April 23, 2019. This link will deliver you to the Podcast where Andrew Roberts speaks about his recently published book on Winston Churchill. Dr.Sarantakes, whose book "Making Patton : A Classic War Film's Epic Journey to the Silver Screen"(2012) is in the Learning Commons of the Naval War College, wrote this review for the Spring 2019 edition of the Naval War College . This link will connect you to Dr. Sarantakes's analysis of James Kelly Morningstar's work on General George Patton. 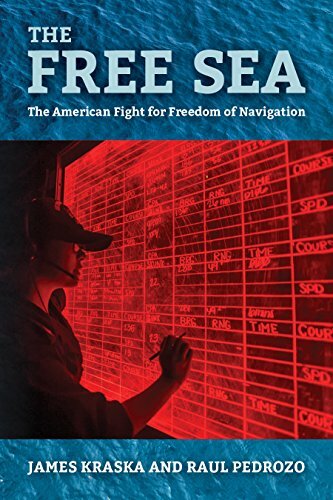 Book Review : "The Free Sea :The American Fight for Freedom of Navigation" by Dr. James Kraska and Professor Raul Pedrozo of the United States Naval War College by Reviewed by Dr. James Risk of "The Bridge"
"The Free Sea:The American Fight for Freedom of Navigation," written by Dr. James Kraska and Professor Raul Pedrozo of the Naval War College , was reviewed in the October 2018 edition of "The Strategist." This link will convey you to "The Free Sea." Dr. Risk concluded that Dr. Kraska and Professor Pedrozo's work is a "well-researched, well-argued and well-written book."